HR leaders should be forward-thinking in how they select their next HR-technology platforms. 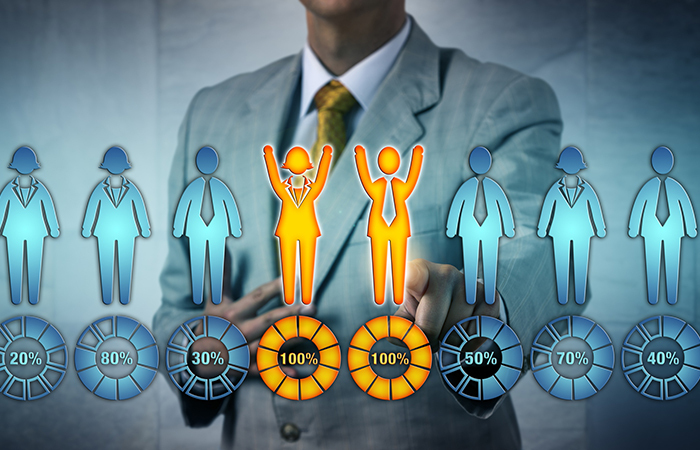 Selecting HR technology for the company you will become, not just the company you are today, sounds like common sense, but it’s something that sets Jillian Moulton apart from many HR-technology buyers. “We didn’t just want an HCM platform that could support us today. We needed one that would help us more than double in size in a short order,” says Moulton, vice president of people and talent at JW Player, an online-video platform in New York. Moulton led JW Player through the selection of a new HCM and payroll platform, a process that started by exploring the systems used at similarly sized companies, as well as those at larger organizations to get a sense of the future scale of the system it would need. It leveraged its benefits broker to understand what platforms it would integrate well with, and to gain insights into the systems other HR leaders with whom the broker worked were using. Ultimately, the implementation of the new platform reduced the number of point solutions the company’s HR department was using, leading to gains in efficiency and scale as the business is primed for growth. In our HRWins research, I’ve found that leaders across all the functions in HR universally list their personal network as the best source of research and information regarding technology they are considering to “buy.” But it isn’t enough to just talk to other companies about what systems they are using and how they like them. HR-technology buyers should be thinking about the future of their HR function and their company’s future workforce, then looking for systems that not only address current required workflows, but cases that are approaching. These future-use cases could be growth- or organizational-scale-related, as in the JW Player example, or address other business issues, such as international mergers and acquisitions; an emerging employee category, such as contingent or freelance workers; the rollout of new HR priorities, such as voluntary benefits; or new recruiting, employee development or internal-mobility initiatives. Prioritizing the selection of systems that can support your firm’s work and workforce of the future—even if it’s the immediate future—allows you to get back to the business of HR. Most HR-technology buyers have followed their “gut feeling” when it comes to evaluating a technology vendor’s approach to customer relationships and partnerships. Burns advises that the requirements here can be just as well-defined as what’s going into the software experience. It’s also important to look beyond the external aspects of your selection. While many companies move to platforms to reduce the number of systems employees must access, that hasn’t reduced the number of technologies being used in HR. Our research for the last two years has found companies are using an average of 24 systems across HR, including mobile apps, point solutions or “best-of-breed” applications covering one or two functional applications, as well as platforms extending across the HR function. Not surprisingly, the same research uncovered integration of human resource technologies as the biggest challenge faced by our study populations. Data increasingly are required to flow across systems, which HR leaders are expecting to help connect the dots from recruiting to onboarding to engagement to learning—and then to retention and business outcomes, and back again. Most technology vendors have published application-programming interfaces that promise to be open to transfer data between systems. While integration is thought to be easier in this API world, I’ve long recommended that HR-technology buyers demand the data they need flow as they need it—regardless of the platform. More importantly, demand validation on the integrations needed from the vendors participating in the selection process and any incumbent vendors. The ability to deliver on this requirement should be a pass/fail for new and incumbent vendors alike. Data integration isn’t the only validation point I recommend in the selection process. Usability was the No. 2 challenge associated in our research for the last two years. You should plan on a hands-on trial of the product before you license long-term. Whether this is a pilot that serves as the first step in a staged implementation, or whether it is a “sandbox” or test environment with your data and core workflow, the effort and any expense associated with this first-hand experience far outweighs the potential cost of a bad decision. As you go through the technology-selection process, what you experience should be the best face forward from the vendors you’re evaluating. The product demonstrations are delivered by experts, and explanations of how your workflow requirements are met are not normally delivered by the people who will be implementing or supporting them. Get your hands on the product and experience the interface and workflow for yourself while you also experience a small taste of the vendor’s implementation process and support mechanisms. George LaRocque is the founder and principal analyst of HRWins, where he advises companies on trends impacting the workforce, HR and technology via HRWins market research. He has more than 25 years of experience in HR, HR technology and HR-tech market analysis. A series of sessions at this year’s HR Tech Conference will explore the current state of AI in HR—and what lies ahead.